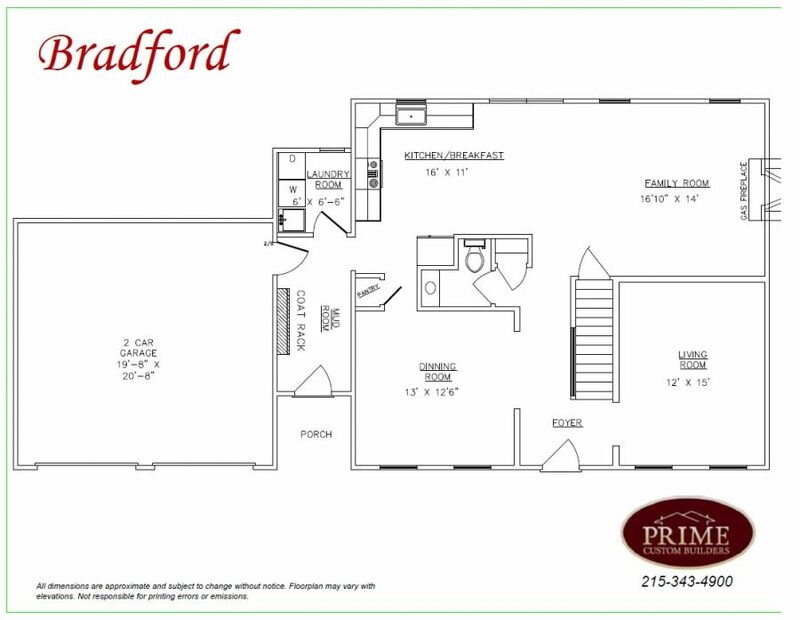 Prime Custom Builders presents their Bradford Model, to be built, showcasing the quality and design of the builder while allowing the new homeowner the opportunity to customize and make it their own. The 1st level offers a large Great room with gas fireplace, gourmet kitchen boasting granite counters, beautiful cabinetry and center island. The breakfast room adjoins the kitchen. There is an elegant dining room with crown molding and chair rail. There is a mudroom with a door to the outside and separate laundry room. The second floor offers a magnificent master suite with striking luxurious bath including soaking tub, separate shower and large walk-in closet. Three additional large bedrooms and full hall bath complete the upstairs. The high efficiency heater/air conditioning system will keep you comfortable year round while cutting energy costs. 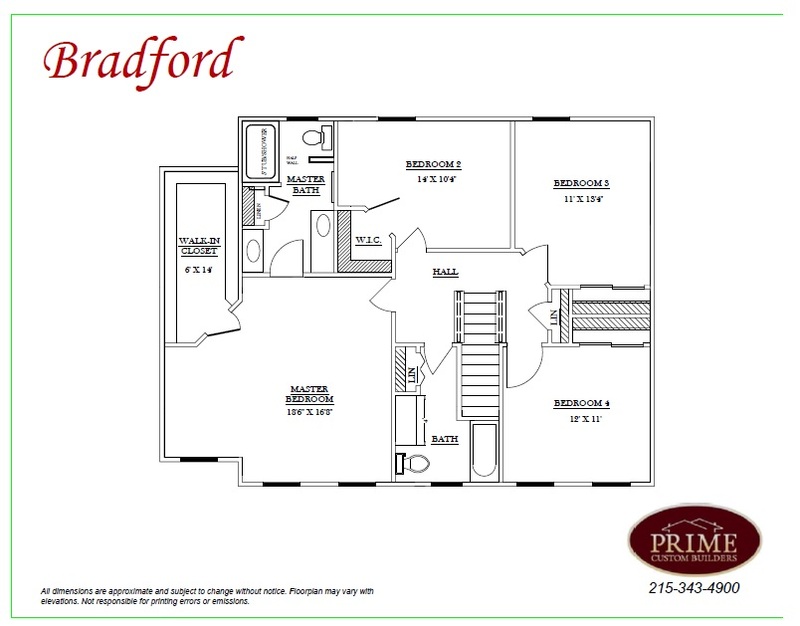 Additional features include full basement and a 2 car garage.